Automated manufacturing of adherent cells is a technical challenge. Adherent cells require large cultureware surfaces and periodic passaging procedures to realize cell manufacturing at desired qualities and scales. In addition, some cell types may require pre-coated cultureware to which they can attach to. 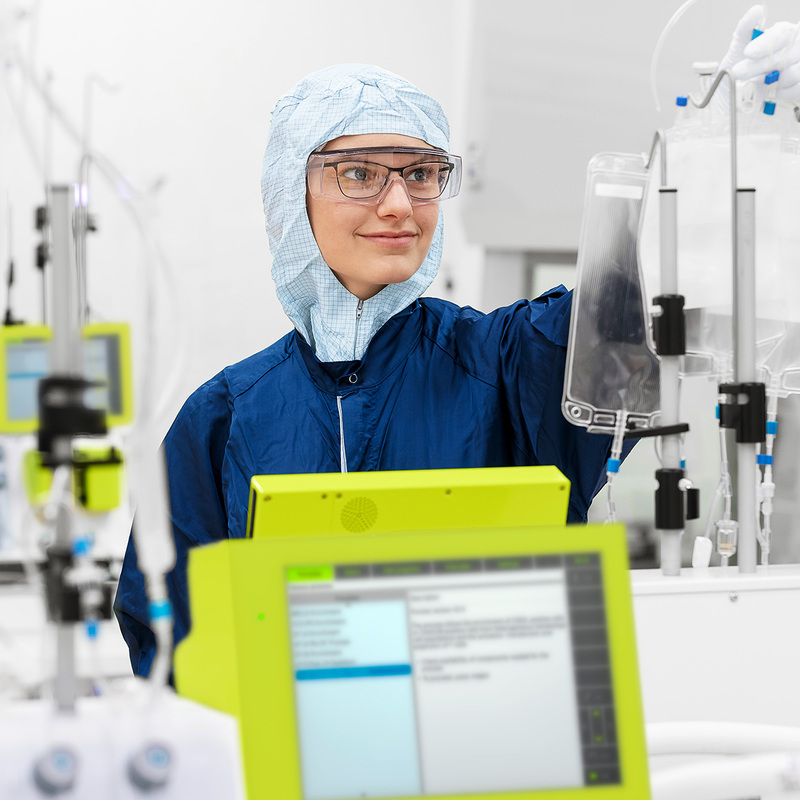 The CliniMACS Prodigy® Adherent Cell Culture System, a cell manufacturing process on the CliniMACS Prodigy Platform, meets the needs for automated and scalable adherent cell manufacturing. 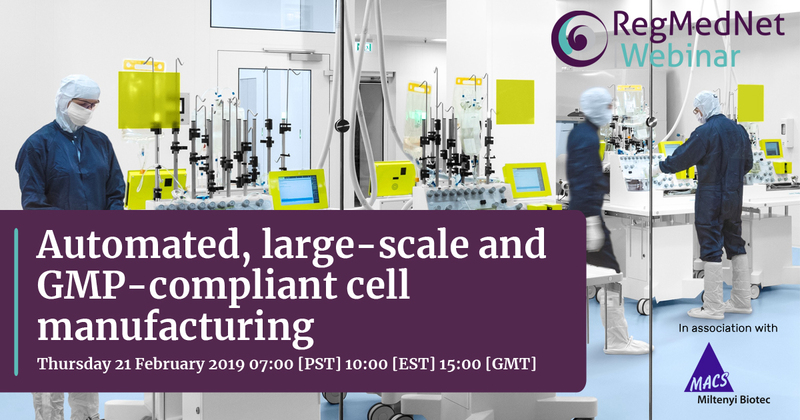 Register on RegMedNet and watch our webinar on automated, large-scale, and GMP-compliant cell manufacturing. 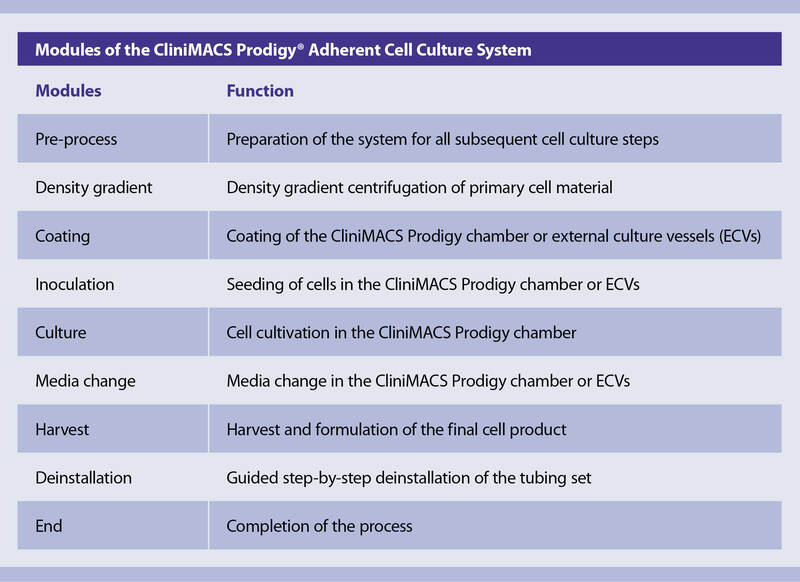 The CliniMACS Prodigy® Adherent Cell Culture Process software offers nine different modules representing different workflow steps in the manufacturing process. Flexible combination of these modules allows for customizable manufacturing of various adherent stem cell and other cell types, saving you time and realizing reliable and consistent cell products. The CliniMACS Prodigy® TS 730 is a GMP-compliant, single-use, and biocompatible tubing set that provides the functionally closed system for cell manufacturing. It consists of tubing, bags, and sterile access ports, providing a closed and sterile fluid path and facilitating all required cell processing steps. External culture vessels can be connected to the CliniMACS Prodigy TS 730 tubing set, enabling cell manufacturing at large scale. We established various applications for human stem cell manufacturing with the CliniMACS Prodigy® Adherent Cell Culture System. Our application sheets include product lists, specifications, process overviews, instrument set-ups, and performance data. 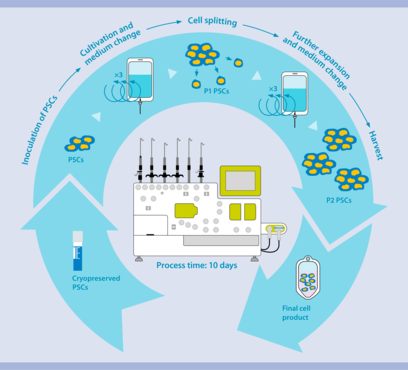 The CliniMACS Prodigy® Adherent Cell Culture System facilitates GMP-compliant and scalable human pluripotent stem cell (PSC) cultivation. 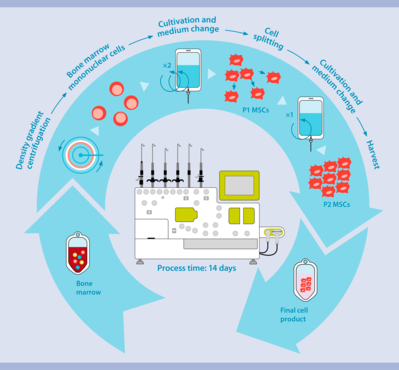 The CliniMACS Prodigy® Adherent Cell Culture System allows for GMP-compliant and clinical-scale human mesenchymal stem cell (MSC) expansion starting from various human tissues. 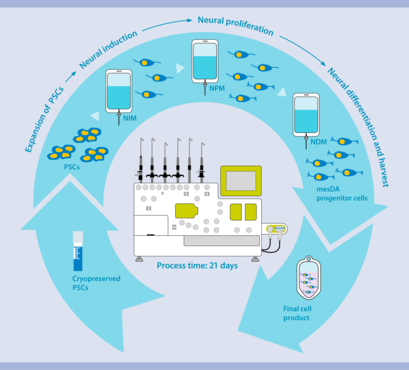 The CliniMACS Prodigy® Adherent Cell Culture System facilitates highly specific and efficient differentiation of human pluripotent stem cells into mesencephalic dopaminergic (mesDA) progenitor cells in large scale. How does cell manufacturing on the CliniMACS Prodigy® work?